Noida-based Jaiprakash Associates on Monday suffered a considerable decline in profits in its third quarter ended December 31, despite increase in sales. The company's standalone net profit slipped 64 per cent year-on-year to Rs 110.93 crore in the October to December quarter, Rs 309.77 crore in the corresponding period of the previous year. Indian Stock Markets witnessed decent gains on Wednesday as the market rally continued from previous day. NSE Nifty scaled 6000 points level after long time and touched 52-week high of 6006 in intraday trade. At closing bell, NSE Nifty was up by 42 points at 5994 and BSE Sensex was inching towards 20k mark with gain of 125 points. Indian markets entered year 2013 on positive note as investor sentiment was strong after US fiscal cliff was averted and stock markets across the globe jumped. Indian market was trading lower at 12.21 PM IST with BSE Sensex down by 70 points at 17560 and NSE Nifty down by 0.43% at 5311. Dow Jones and Nasdaq closed flat on Tuesday and Asian markets were trading marginally higher in today’s session. Nikkei 225 was up by 36 points at 9069. Straits Times was up by 8 points at 3047. Hang Send was flat while KOSPI was up by 0.63 per cent. Jaiprakash Associates , has responded to the allegations of cartel formation in the cement industry by saying that they are false and that market forces determine the price of the construction material in the country. The Competition Commission of India has alleged that the cement makers in country have formed cartels and has imposed a heavy fine on the firms. The fine imposed by the commission runs in to hundreds of crores for the firms depending upon the amount of profit made by them. CCI has imposed a whopping Rs 6,307 crore fine on 11 leading cement makers for forming price cartel. BHEL: Rs 1989 - Oversold Oscillators: The combination of medium and long term signals in oscillator (stochasitc) is showing oversold signals. This is a positive sign suggesting that the downsides to this stock may be minimal from current levels. While the Indian stock markets were trading sideways on Tuesday, among major gainers were Reliance Communications, JP Associates and Auto Major M&M. Anil Ambani led telecom major Reliance Communications gained nearly 2.5% in early trader. The stock have gained over 8% compared to its price a month earlier. The company has received shareholders' nod to raise funds by issue of securities. The company is planning to enhance its financial position. Stock market analyst Pradeep Surekha has maintained 'hold' rating on JP Associated Ltd stock with stop loss of Rs 114. According to Mr. Surekha, the investors can purchase the stock on declines. Today, the stock of the company opened at Rs 188.90 on the Bombay Stock Exchange (BSE). The share price has seen a 52-week high of Rs 180.09 and a low of Rs 112 on BSE. Current EPS & P/E ratio stood at 4.03 and 29.49 respectively. Jaiprakash Associates Limited (JAL) has declared a net profit for fiscal ended March 2010 due to higher revenue, whereas its total income grew by 72.52%. The company's board announced a final dividend of Rs 0.54 per equity share of Rs 2 each for the financial year ended March 10 plus the interim Dividend of Re 0.54 per equity share of Rs 2 each paid in November 2010. During the year ended March 2010, JAL recorded total revenues of Rs 10316.04 crore as against Rs 5979.52 crore in March 2009. Leading infrastructure firm of the country, Jaiprakash Associates has declared its annual financial results for the fiscal year 2009-10 and it has managed to post an impressive rise in net profit figure. The company has posted a consolidated net profit of Rs 1,119.18 crore for the year that ended in 31st March, 2010. The consolidated net profit was reported to be Rs 420.25 crore in the financial year 2008-09. This net profit figure has grown up by a mammoth 166% in this quarter as compared to the same quarter in the last fiscal. 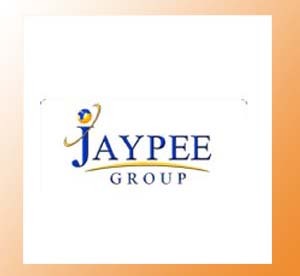 Jaypee group is a well-diversified infrastructural industrial group of India that commenced its operations in 1972 as a partnership firm then known as Jaiprakash Associates. Three decades later with growth and diversification the group is now engaged in the businesses of Engineering and Construction, Cement, Private Hydropower, Expressways and Highways, Hospitality, Golf Resorts and Information Technology.